The Everett Branch offers Basic Alpine, Intermediate Alpine, Trad Climbing and Sport Climbing Courses, as well as courses on climbing leadership and advanced techniques. Come climb with us! 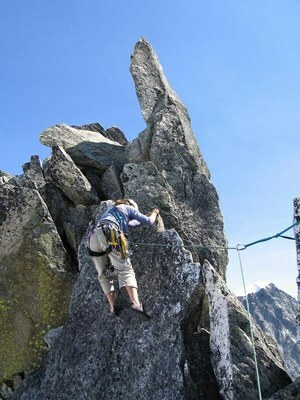 Guests are can come on climbs or field trips, on a limited basis with the permission of the Climb Leader. If you are interested in doing some climbing with us, have prior training and experience, please contact us regarding our Equivalency Program. Students of our course who have passed classroom and field trip requirements can sign up. Graduates are welcome too. You can petition for climbing course equivalency if you have training or equivalent experience outside The Mountaineers. Contact the committee chair listed to the right for more information on equivalency. Teaching classes is a great way to share your experience, stay sharp, meet other climbers and contribute to safe climbing and climbing environmental ethics. Course graduates can take the Instructor Review Class to get started. If you are a graduate of a non-Mountaineers Course or have equivalent experience please contact us about how we can help you get engaged in this rewarding work. Please, come join us. Due to the popularity of certain climbs, each Branch will be given a priority date which only that Branch can post up to the expiration date. This will help manage crowding on routes and allow fair access to popular climbs. List of priority climbs for 2017. We welcome your help on our committee. Give back to your branch! The Climbing Committee meets irregularly approximately every three months. For more information, email the committee chair at nicholas.e.mayo@gmail.com. The Ken Nelson Memorial Climbing Award honors an outstanding Climbing Committee leader.